CSP is the speaking profession’s international measure of professional platform competence. Earning your CSP shows that you are committed to the profession, have top-notch speaking ability and a track record of professionalism and success that is recognized by the speaking community and many others looking to hire a speaker for one of their events. Qualification requires the speaker to present a minimum number of speaking engagements within the same 5 year period and submit outstanding ratings from those past clients. CSP recipients must follow a strict code of excellence. 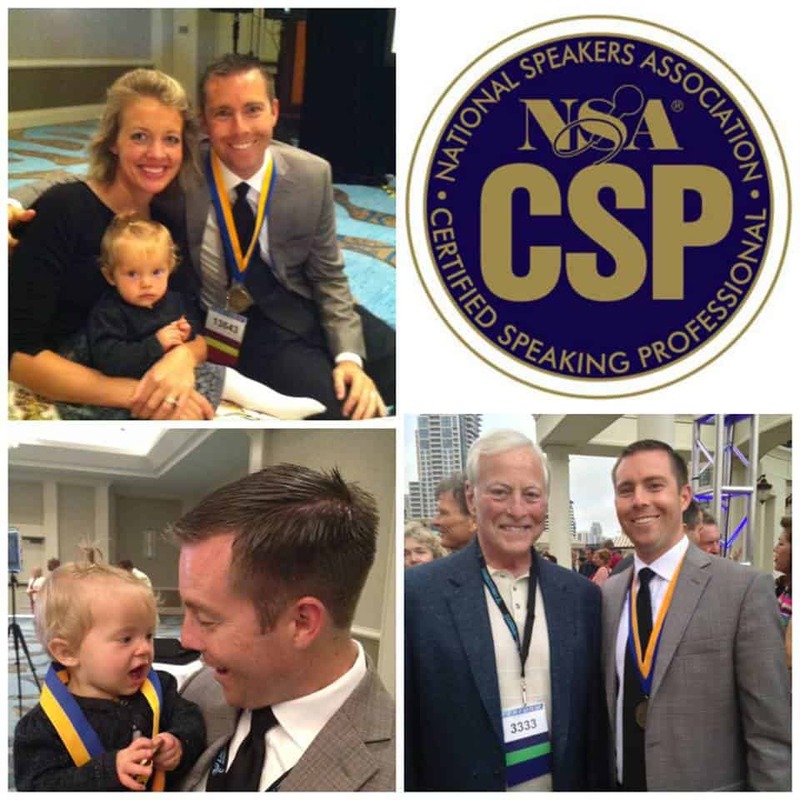 Ty Bennett at just 32 years old is one of the youngest ever to receive the CSP Designation in the shortest amount of time, 5 years in professional speaking. Less than 5% of speakers earn the CSP honor.